Conquer mountains and snow with ease. 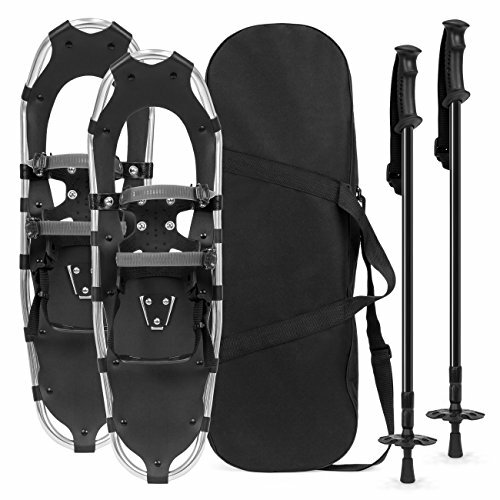 Our snowshoes are ergonomically designed with your comfort in mind and made with heavy-duty tempered aluminum for the toughest terrains. Roam freely with a curved rear design that eliminates drag and lets you move as you please. Don't let the snow slow you down! Pole Length (fully extended): 52.3"
Pole Length (not extended): 25"
Shoe Dimensions: 21"(L); Weight Capacity: 154 lbs.